Interacción 2015 is the 16th edition of the International Conference promoted by the Spanish Human Computer Association (In Spanish Asociación para la Interacción Persona-Ordenador, AIPO), whose main objective is to promote and disseminate the recent advances in the field of Human-Computer Interaction. This conference will provide a forum for discussion and exchange of ideas on design and application of techniques and methodologies with a multidisciplinary approach. 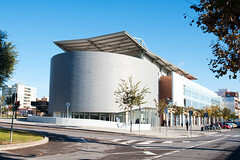 The 16th International Conference Interacción 2015 will be organized by the Technical School of Vilanova I la Geltrú (Universitat Politècnica Catalunya Barcelona Tech) and will have the support of the Accessibility Chair, the Interactive Systems Design Lab and the Interactive Behaviour and UX Lab (Technical Research Center of Dependency Care and Autonomous Living). Interaction 2015 is an international conference with the aim of promoting and spreading the recent advances in the field of Human-Computer Interaction (HCI), both academic and industry level. This conference is a meeting point for international research groups, mainly Spanish-speaking, as well as meeting point between University and Industry in areas related to HCI. 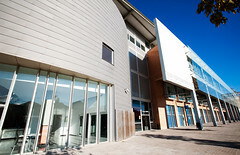 In addition, the conference also aims to increase awareness about the AIPO (Asociación Interacción Persona-Ordenador) and Human-Computer Interaction at all levels and also academic disciplines that might be interested (sociology, audiovisual communication, design, business administration, fine arts, cognitive psychology, etc.). 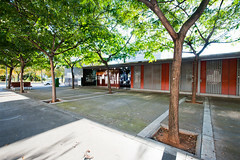 The Human Computer Association (AIPO) has been organizing this conference since 2000 (Granada). Subsequent editions were held in Salamanca (2001), Leganes (2002), Vigo (2003), Lleida (2004), Granada (during the celebration of CEDI 2005), Puertollano (2006), Zaragoza (during the celebration of CEDI 2007), Albacete (2008), jointly Barcelona (Spain) and Armenia (Colombia) (2009), Valencia (during the celebration of CEDI 2010), Lisbon (jointly with INTERACT 2011), Elche (jointly MexIHC 2012), Madrid (during the celebration of CEDI 2013) and Tenerife (2014).